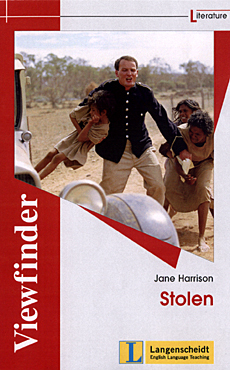 Jane Harrison´s drama "STOLEN" was originally published as complementary literature in Langenscheidt´s VIEWFINDER series. This series created and devised for senior English classes at German secondary schools (Grund- und Leistungskurse) included topical texts (Viewfinder Topics) i.e. 12 to 15 Study Texts of different kinds, different epochs and different authors. They were completed by unabridged original novels, short stories, film-scripts, and plays by English-speaking authors (Viewfinder Literature). These literary texts, however, are not only excellent school readers but also superb means to language training.